Busy people do not have enough time to check if their homes are infested by insects. And if you are among those individuals who do not have time or perhaps ability to research your pest problems, it is advisable that you hire the services of a reliable and experienced pest control company. These professionals have the right skills and knowledge to check and determine if your residence has been or is being infested by different pests. They can safely apply the necessary procedures as well as materials to control it. Be reminded that when it comes to pest control, there is a need for specialized equipment, training and resources. Though getting expert help can be costly, the returns can be very rewarding. 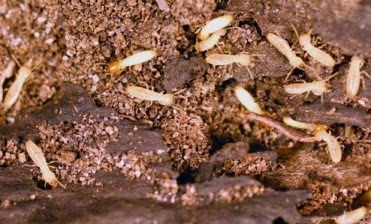 A pest control expert practices integrated pest management techniques as well as keeps updated regarding the latest technologies. With this, you are assured that such professional can provide you with the most efficient and safest management strategies. Get recommendations from your trusted family and friends – In case you have a family member or friends who have used pest control services before, you can ask recommendations from them. Consider calling at least 3 companies and look into the methods they use along with their customer service policy. Choose a company that has the needed licenses, certificates, insurance, and registration. Professionals who employ household treatments for controlling the infestation of pests must be license – you can actually check this with the authorities or governing body within your place. Prior to employing pest control services, the company must inspect the site. The pest control company may ask for a fee for such inspection, but in turn, they must provide you with a written diagnosis of the problem or perhaps an identification of the pests. They must show you the area where there are pests and discuss with you the treatments they must use to control such. It is also important that the company must provide you with the necessary information about the safety of the products they are to use along with any precautions you must take like protecting your children and pets. Always read through the contract. This is true to almost any agreement you are to engage in. The company must provide you with info on the identified pest problem, the reason behind the treatments they are to use, and the application techniques. The contract must contain the name of the company, treatment plan, price, guarantee, and the length of the service. Always stay in touch with the firm in order to ensure that you are getting the right services that are stated in the contract. And most importantly, you have to do your part in managing the pest by cleaning up food sources that harbor pests, fixing plumbing leaks, and more. About the author: Kenneth Lawrence is a homeowner and a writer. He usually reads home improvement related books and visits relevant sites like http://www.southlandpest.com/ in order to boost his know-how about the industry. And he shares what he learned through writing/blogging.